Make sure the flowers look clean and healthy. 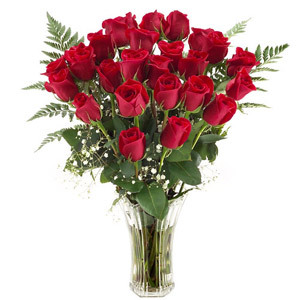 Avoid flowers with broken stems or drooping buds. The flower stems should be green and smooth, and not slimy. The water should smell fresh. Keep your cut flowers cool, until you can get them into water. Cut the stems about two to three centimetres from the end while they are under water (this is to avoid air getting into the water-conducting tissues, which blocks the cells). Make sure your vase and cutting tools are clean. Remove any leaves that will be below the water surface. Use the packet of flower food or preservative that came with your flowers (if you don’t have any, we will show you how to make your own at the end of this article). Place your freshly cut flower stems in warm water (roughly 40 degrees Celsius) and the preservative to ensure maximum water uptake. This process is called hardening. Keep your cut flowers out of direct sunlight and drafts. Keep them away from fresh produce. Fruit such as apples produce ethylene gas, a hormone that causes senescence, or aging in Cut Flowers. Change the water frequently (Every other day). Cut the stems as described above, each time you change the water. A very popular flower, even though most people don’t know them by name. However they are sensitive to fluoride in water and ethylene gas. Keep them away from fresh produce. Choose bunches with a few slightly opened lower buds. Remove the anthers to prevent allergies and pollen from coming in contact with your clothing and staining them. You can’t beat Delphiniums for shades of blue and purple. Like Alstroemeria, these are sensitive to ethylene gas. Carnations are extremely dependable and come in many varieties and colours. A classic, and with over 20,000 varieties, they never get boring. Generally available in late summer. Sunflowers can be top heavy, so use a sturdy vase that can support them. If you don’t have a commercial flower preservative, making your own mix at home can be as effective as the commercial preservatives and it’s easy to make. If you have questions about caring for your flowers, or you have some tricks of your own that have worked for you, please share them with us in the comments section below. Very nice to see that you share information and give tips how to use and keep the flowers so that we enjoy them better and longer! But the real professional use professional flower care products like from Chrysal that is real good stuff to have the best results of blooming and keep the water clear. Success and have a good flower time! Great to see you on our website, and thank you for your input regarding the flower care products. We agree that it is worth using a professional flower preservative and other flower care products that have been specifically designed to increase the life of your fresh cut flowers. This is very useful information! I have to admit, though, that I greatly prefer the use of the commercially prepared flower foods to making my own. Just so convenient to open a packet and dump it in the water! But thanks for this info!